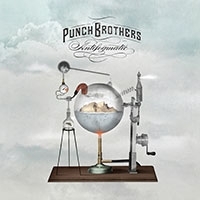 The Punch Brothers are on the road redefining bluegrass according to the Huffington Post. Check out Brian Ross’ review of the show at the Interlochen Center of The Arts and then check the band out for yourself at one of the shows below. As always, let us know if you’d like to set up an interview or in-studio performance.